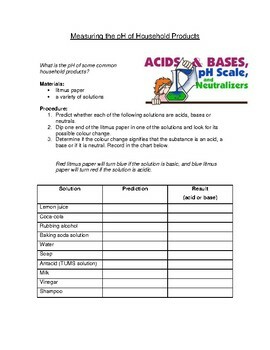 This handout leads students through a science lab in which they use litmus paper to test the pH level of a variety of household products. These include milk, vinegar, coca-cola and more! This resource is easily used in this fun, and students often enjoy this hands-on learning opportunity.